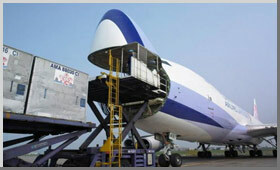 JIF Logistics provides Air Cargo Service to all the major airports of the world. We carefully choose the carriers based on their lift capacity, flight frequency and services. Our 10 more years experienced and professional team members may take you through the process from booking through delivery at final destination.